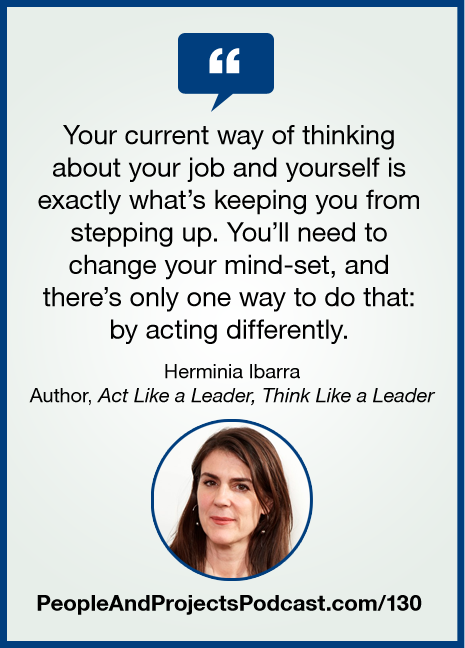 In this episode we speak with Herminia Ibarra, author of Act Like a Leader, Think Like a Leader. Herminia chairs a department at the world-renowned INSEAD business school and is recognized by Thinkers 50 as one of the top business thinkers around the globe. In this episode, Herminia shares why standard leadership training just doesn't work. Learn more about Herminia and her book (and download the first chapter) at http://herminiaibarra.com/books/.